NOW IN STOCK: The Sony PXW-Z190! This superb all-rounder is the de facto choice for a wide range of 4K and HD single camera shoots, with an all-new 1/3-type 3CMOS sensor. A powerful 25x zoom lens with three independent lens rings delivers pin-sharp 4K imaging for almost any professional shooting scenario. Advanced Face Detection AF and Sony’s unique Electronic Variable ND filter make shooting great content stress-free. The world’s first professional camcorder with a 4K (QFHD) 1/3-inch type sensor. Red, blue and green light are independently captured by separate image sensors in 3840 x 2160 resolution at up to 60fps. The PXW-Z190 is equipped with a 25x professional zoom lens featuring three independent control rings, allowing manual control of focus, zoom and iris. Premium content services are switching to HDR and the PXW-Z190 is ready with Hybrid Log-Gamma (HLG) recording, for easy file-based workflows, whilst achieving the image quality of HDR. Choose between Face Priority AF and Face Only AF. Simply keep the person in frame and however you move, the PXW-Z190 will keep your subject in pin-sharp focus. 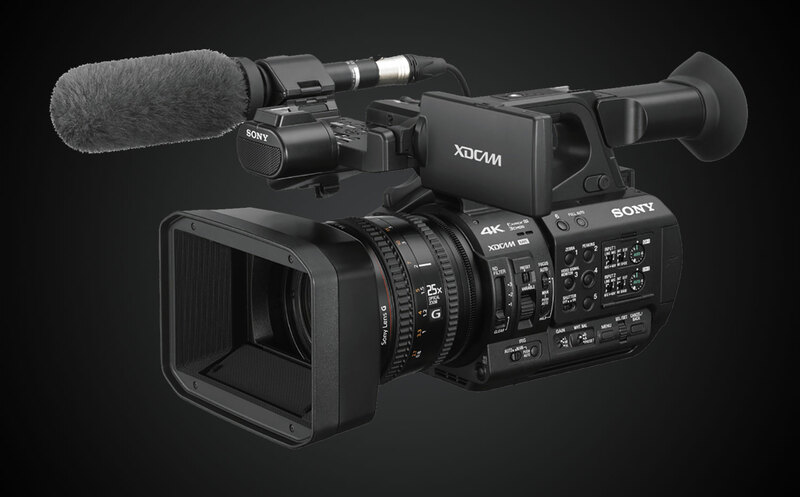 The new Sony PXW-Z190 is available for hire, HERE.